I have a pretty hefty pattern stash, so what are the odds that I would make two patterns from the Tilton sisters in a row? Pretty low, especially when it you consider that art-teacher-chic is not my typical style. I bought this fabric with a pair of Hudson sweatpants in mind, but I must have been delusional — the fabric is way too wimpy. When I was in Jo-Ann fabrics I remember thinking what nice beefy knit this was, but I was either saying that based on a holding a double layer or it just seemed heavy compared to everything else next to it. 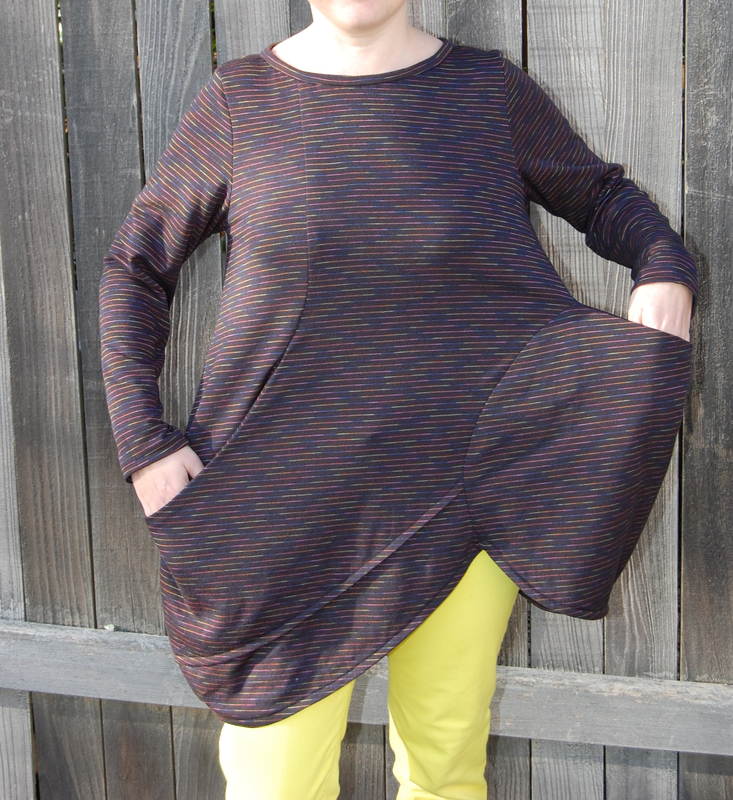 Using a knit fabric definitely made it easier to assemble all the curved sections – I think it would be much more challenging to make this in a woven. Based on the finished measurements printed on the envelope, I knew the sizing on this was going to be generous. And you can see in the pattern picture that the sleeve fit is a bit loose. But I didn’t want to mess with figuring out alterations, so I just cut the size XS as-is. In the pictures it doesn’t seem that bad, but in real life it feels like a tent compared to what I normally wear. 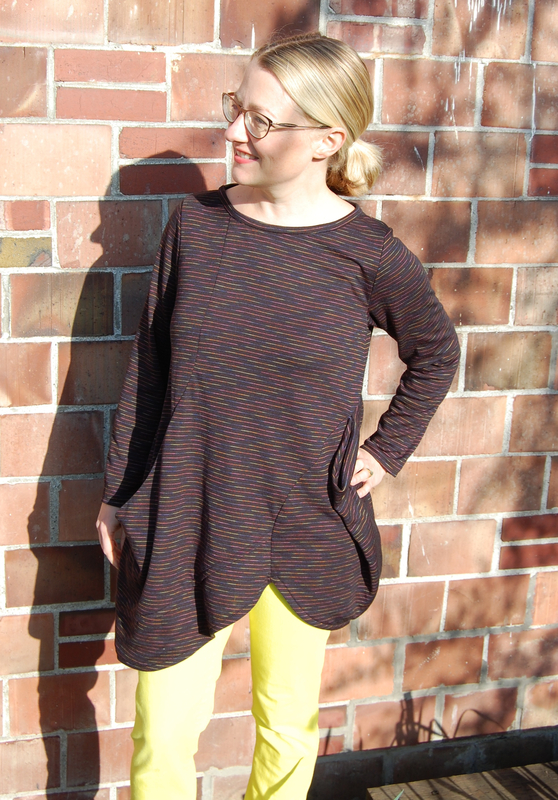 A drapier knit might help mitigate the width issues, but if I would still take out some width and a bit of length. If I could figure out how to do the alterations, I think the sleeveless version in a linen jersey would make an interesting summer top. This was an amazingly quick project for me – cut out and 75% assembled all in one day, and completely finished two weeks later. I didn’t even bother with attempting to match up the stripes. 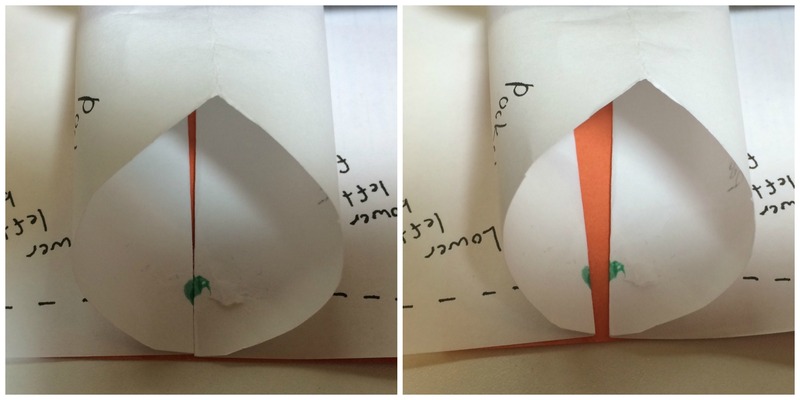 Your goal is to get the two circle marks to meet up tightly at the top of the pocket. 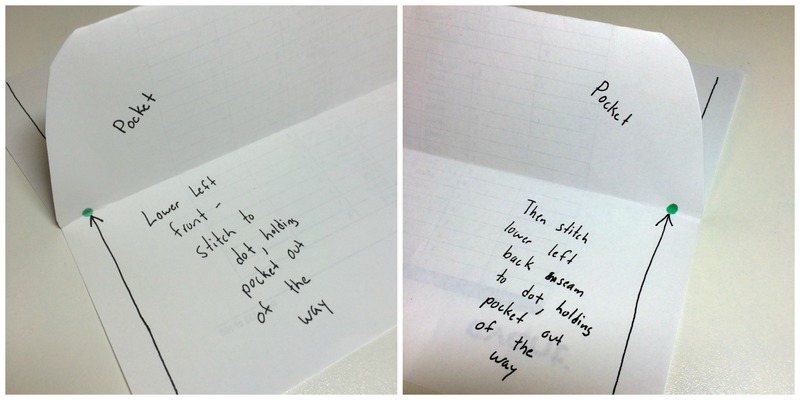 If you’ve done it right, the dots will meet up tightly at the top of the pocket, like the photo on the left. My version turned out more like the photo on the right. Instead of trying to adjust it on the machine, I used a few hand stitches to close up the gap. Final verdict: This is probably never going to leave the house, but it will still get worn as loungewear. Even though I’m not in love with the end product, it was rewarding to have a project that came together so smoothly.